In most episodes of Star Trek from TNG forward (and for television in general), there is usually an A-story, a B-story, and potentially a C-story. Discovery usually follows this formula, occasionally adding in and smaller D or even E-story, but not often. By far, the most talked-about scene of the episode (and possibly the series so far) is when Captain Christopher Pike gets a glimpse into his future thanks to touching a time crystal. More on those glowing green McGuffins in a moment, but for now, let’s all just take a moment to appreciate the precious gift the writers have given us. For five decades, Star Trek fans knew only two significant things about Kirk’s predecessor: what we saw in flashbacks during “The Menagerie” and the tragedy that happened to Pike shortly after he turned over command of the Enterprise. We heard Commodore Mendez tell Kirk about an accident on a Class-J training starship while Pike was doing an inspection. A baffle plate ruptured, and Pike heroically brought out all of the cadets who were still alive, receiving a near-lethal dose of delta rays that left him little more than a vegetable. Discovery‘s second season has presented the writers with a unique opportunity to not only develop this important-but-mostly-unknown Trek character but to tie in with what little we already knew. This has already manifested a few episodes ago with Pike’s visit to Talos IV and encounters with Vina. But with the impending Anson (dis)Mount from this series, there didn’t seem much time left to tie in with the other iconic image of Pike: a scarred invalid confined to a mobile wheelchair that allowed him to say only BEEP or BEEP-BEEP (yes or no). I’d thought we’d already had our nod Pike’s tragic fate last episode when Mommy Burnham hinted that Pike wouldn’t want to know what’s in store for his future. But this episode actually shows us the scene of the accident happening in real time, and Pike’s reaction to it, which is an amazing piece of acting. Anyway, Pike shows his nobility in accepting his fate even if it means saving the lives of every sentient being in the universe. And Anson Mount‘s performance of all of his scenes is so magnificent that I find myself now praying to the gods of spinoff television that CBS will green-light STAR TREK: PIKE to tell the adventures of the USS Enterprise in the B.K. (Before Kirk) years. This is the most obvious no-brainer in the history of TV, folks! TIME CRYSTALS – THE BIGGEST THREAT TO STAR TREK CANON EVER? Ah, time crystals. In any other sci-fi or fantasy franchise, they’d be a really awesome idea. But in Star Trek? We’ve already seen Harry Mudd use a single time crystal to kill everyone on the USS Discovery countless times. Now we learn that the Klingons have been sitting on a planet full of these things…and never used them??? The reason given by L’Rell is kinda unconvincing: “The power to manipulate time is a weapon unlike any other…and the very reason we no longer exploit the crystals.” Um, when do the Klingons shy away from using any weapon (other than the sacred Sword of Kahless…or Kahlesh)? These are the same folks who mined the moon Praxis so much that it exploded. They don’t seem like they’re all that squeamish about pushing the envelope. And of course, a previous episode of Discovery even revealed that the Klingons HAD tried to use the crystals during the war. Sure, they ultimately failed to stabilize them (or whatever it was), but they still TRIED. So L’Rell is wrong even by Discovery‘s own internal continuity! The reason I say time crystals are a threat to Star Trek canon is that, if the Klingons have always sat on a planet full of these things, I can’t believe they’d never try to use them…even if the monks operate autonomously from the Klingon leadership. At least once before, during the war, the monks seem to have acquiesced. Who’s to say they wouldn’t do that again when fighting with the Federation, or the Romulans, or the Dominion? Heck, why not just use the crystals, not as a weapon, but simply to save Praxis from exploding and preserve the Empire? Worf? Yeah, we know he spent a bunch of time on Boreth both in the TNG episode “Rightful Heir” and just before he joined the crew of Deep Space Nine. So how come when his wife Jadzia was killed did he not even consider going back to Boreth and seeking out a time crystal? He couldn’t have NOT known about them…even if only in legend. Of course, the reason Worf didn’t consider going back to Boreth was because, prior to April 4, 2019, time crystals never existed in Star Trek lore. But that’s what happens when you mess around with continuity by introducing something as powerful and significant as time crystals and giving them to one of Trek‘s most well-known warrior races. So now the Discovery can go anywhere in space and the Klingons can (potentially, if they figure out how to do what Dr. Burnham did) go anywhere in time. Congratulations, Star Trek is now Doctor Who. As dues ex machinas go, the time crystals are actually a compelling plot device for me. I just wish it wasn’t revealed they were as common as mushrooms on a monastery world within the Klingon empire. But they produced a couple of interesting scenes. One, of course, was the aforementioned glimpse into Pike’s future. The other was the aging up of Voq and L’Rell’s baby into adulthood. Granted, he looked like someone out of Lord of the Rings or Game of Thrones (I’ve read reviews citing both franchises), and if Tenavik looks familiar, it’s because you’ve seen him before…twice. Or rather, you’ve seen the actor Ken Mitchell playing Kol in season one and Kol-sha in “Point of Light” in season two. Now, I don’t mind recasting the same actor multiple times (I loved Jeffrey Combs as Weyoun, Brunt, and Shran); it just seemed strange that Voq and L’Rell’s baby grew up to look just like their greatest enemy. Maybe it’s not Voq’s kid? Oh, please don’t go there! Now, what I’m relieved about is that the time crystals didn’t work in the way they did for Harry Mudd last season (another inconsistency) in that they don’t seems to actually transport people physically through time. If they did, then the Klingons could have just traveled back to 2063 and blown up Zefram Cochrane and the Phoenix (no, wait, wrong bad guys). Instead, they acted a little more like the Bajoran Orbs of the Prophets (although the Orb of Time did actually transport people through time…oh, man, my brain hurts!). Anyway, aging up Tenavik provided for a nice scene of closure at the end of the episode for L’Rell and Voq. Now let’s take a look at the other A-story: Burnham and Spock fall into Control’s devious “trap.” This was the action storyline, and in that way, it was quite exciting and watchable. And it’s nice seeing the sibling tag-team finally doing and not just talking…although the two actors work well together and play well off of each other’s dramatic strengths no matter what the scene is. But beyond the action and tag-team dynamics, I found this second A-story to be predictable, uninspired, and ultimately disappointing. 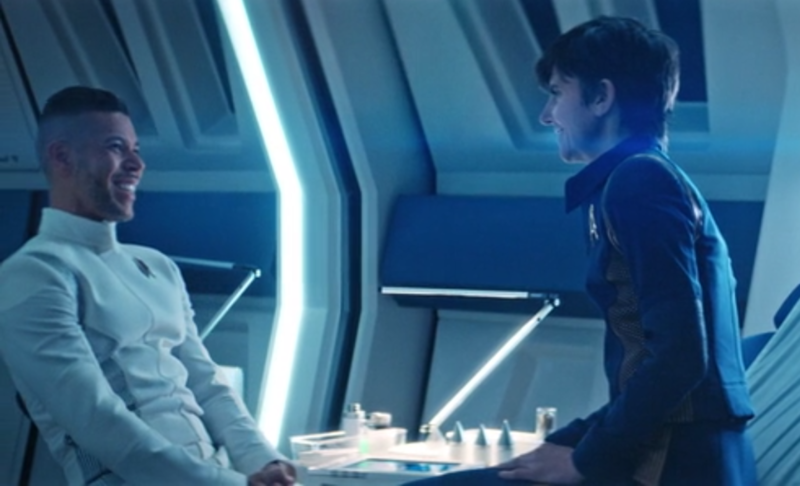 But first, let me tip my hat to a very good scene: the one between Burnham and Saru where she’s all ready to fight to convince him to let her go check out the Section 31 ship, and Saru simply agrees immediately. Granted, the first thing I thought was, Way to get rid of the annoying main character, Saru! With Burnham gone, the rest of you get more screen time! But I quickly understood that the new Saruperman had grown a pair (after losing his ganglia), and now he’s all balls to the wall. Good scene. That said, this whole Section-31-is-a-part-of-Starfleet where all the ships check in every hour is hard to wrap my head around. My Section 31 operates completely in the shadows and would never agree to checking in every hour if only to protect their covert status. And I’ll say it here simply because I’ve got nowhere else to put it, but angry/bitchy Michael Burnham really turns me off. So her whole “stand-off” with Spock when he shows up to join her on the mission made me think: Has she learned nothing???? Wasn’t her whole speech at the end of season one about Starfleet being a team and a family? Spock is both, and she’s not letting him come along? Bitchy Burnham just really rubs me the wrong way…which is not necessarily what you want in a main character. Okay, onto the mission itself. Now, maybe I’m a bit psychic, but as soon as I saw all of the bodies floating in space, I said to myself: One of them will still be alive and it’ll be another one of those Control-controlled drones like Leland. And lo and behold! Now, Star Trek has been predictable before (even in past series), so I can’t really complain about predictability. But I can complain about the bad guy himself/herself/itself. Control just bores me. Oh, the action scenes in last episode and this were very exciting (just like they were in Terminator 2: Judgement Day 28 years ago). But the “character” of an A.I. who thinks it knows better and then gets all in-your-face about it has been done to death. And while I’d hoped Control’s rationale for wanting to destroy all sentient life in the galaxy would be original and compelling, it was basically little more than what Isaac Asimov had done nearly 70 years ago: an artificial intelligence programmed to protect humanity sees no other option than to protect humanity from its greatest threat—humanity itself—by destroying humanity. Wow…how deep. And once all sentient life is gone, only the purest sentience is left: Control. Not very inspired. And we basically “hate” Control because the couple of times that it’s inhabited/assimilated/rebuilt humans, those characters become all eeee-veeel. And of course, it’s killing ships full of Section 31 agents and it’s trying to assimilate Michael Burnham. And speaking of which, why Michael Burnhm? Why not kill her and assimilate Spock instead? He’s just as capable of downloading the Sphere archive once he’s back on Discovery. Why does it always have to be about Michael Burnham??? And finally, Control sets this elaborate “trap” that requires so many things to happen. 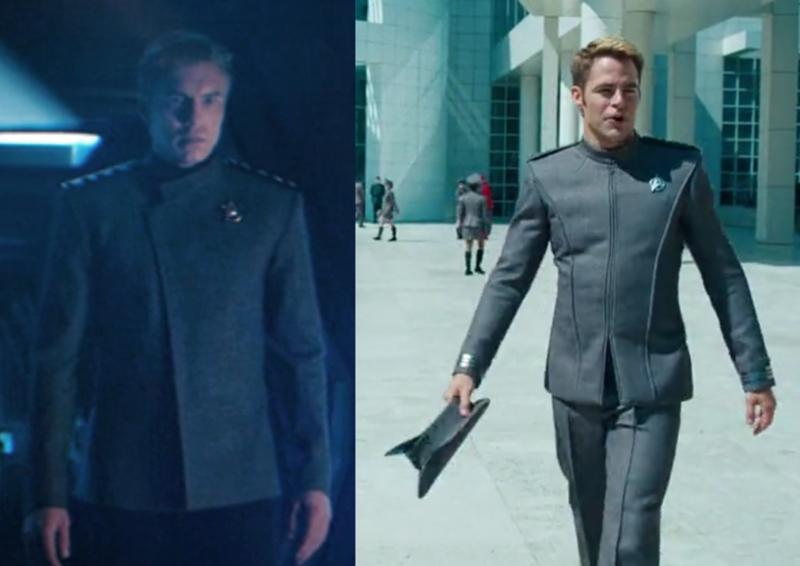 Why is Burnham the only one sent to check out the late-reporting Section 31 ship? 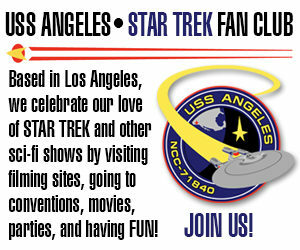 Doesn’t Starfleet have other ships to check it out? How could control have been that certain it would be Burnham that he/she/it decided to assimilate the one crewman on board the ship that Burnham would recognize and trust? Is it because Control is so smart that it can see all possible futures? Good grief, Charlie Brown! STAMETS AND RENO AND HUGH, OH MY! The B-story of the episode was Stamets working his way back to Hugh, babe, with a burning love inside. The story starts out great. I loved seeing the secondary characters just hanging out eating and chatting and playing word games. (By the way, best auto-antonym ever: “dust.”) And it got even better when Stamets, still moping over the loss of his pajama buddy, sees Hugh with another group of friends, laughing (something Hugh had not been able to do with Stamets since Dr. Hugh regenerated). Anyway, it was nice hearing about Reno’s late wife, and it’s more backstory than nearly all the other non-main characters on the show have received so far. And Tig Notaro played her scenes extremely well with both Anthony Rapp and Wilson Cruz (dude, shave the scruff! )…and vice-versa. But if Hugh Culber goes back to Paul Stamets just out of regret for taking away their “second chance,” that’s just not honoring his character. Perhaps Hugh’s second chance is to move on to a new relationship. After all, he’s not the man he used to be…at least, not on a molecular level. If he goes back to Stamets for the wrong reasons, the relationship could be doomed anyway. The last story was very minor…only three scenes, really. But L’Rell and Voq/Tyler finally got their closure. And to be honest, they had three very well-acted, well-written scenes. My only complaint is that there was so little of it. Mary Chieffo actually does a really good job as L’Rell, but this is likely her final appearance this season. Oh, well. As for Rabbi Tyler, Shazad Latif continues to do almost nothing for me. His character seems to be little more than a doormat for the women in his life. It doesn’t matter what Ash Tyler might want, the women in his life won’t let him have it. Voq would never have stood for it, but Voq’s gone…gone…gone. DESTROY THE SHIP? WHAT A FANTASTIC IDEA! So why didn’t someone think of this before? Hey, wait…I did. At the beginning of the episode, I thought, If they destroy the ship, the data is gone forever, right? And for Pike, it’s a no-brainer…as Discovery isn’t even his ship. He’s willing to sacrifice his own fate to a tortured, hideous existence…why not just blow up a bunch of metal after evacuating the crew? No one even has to die or get confined to a wheelchair blinking “yes” or “no” for the rest of their lives. So, yeah…let’s blow up the ship! Or even better: set the autopilot to ram it directly into the nearest star. Of course, that would mean the beautiful Short Trek episode “Calypso” never happens…and I’m still not giving up on my theory that the Discovery from 1,000 years in the future is responsible for the seven signals. Yes, blow up that ugly piece of metal, please please please! And move every interesting character (Stamets, Saru, maybe Culber, but please not Burnham! NOT Burnham!) over to the Enterprise and make a couple of seasons with that. *That* would be great! Yeah, from everything I know from consulting for Viacom Consumer Products (licensing) for seven years, everything Midnight’s Edge says about the various licenses just seems more convoluted than anything would ever practically or realistically be in this town. The fact that ME has to do such logistical gymnastics to explain it all and no one except John Eaves has ever spoken about any of this just doesn’t make sense. NDA’s aside, there’s just too many people who deal with CBS licensing that some confirmation of this mess of licenses wouldn’t have leaked out somewhere, somehow at some point…and not exclusively to ME. When only one “news” source is reporting all of this and even acknowledging that it is mostly conjecture and unconfirmed rumor, well, take from that what you will. And now I’ll leave it at that. Captain Janeway uses a time crystal device in Endgame…and she got that device from a Klingon. Holy plot contrivances, Batman! I completely forgot about that!!!! You do realise that she is the star of the series? Just like Shatner was. Do you rewatch TOS and lament another captains log entry opening the show? Otherwise, I enjoy your reviews. Much more balanced than some. Thank you for the compliment. I do try to be fair and balanced regarding Discovery. I try not to hate or detract, but I don’t shy away from criticism when it’s reasonable. And hey, when they hit one out of the park, I’ll acknowledge that, too. As for your first comment, not every TOS episode opened with Kirk or Kirk’s log. Same with TNG and DS9 and Voyager and Enterprise. The lead actor/captain didn’t begin every show with a log or scene, nor were they the main focus of each episode. My feeling is that the Discovery writers are obsessing a little too much on Michael Burnham…more than they should. I saw Discovery (like the four series before it) as more of an ensemble cast with a lead actor, a secondary lead, and the rest of the main cast trading off stories. To an extent, that happens with Discovery. Saru gets an episode, Tilly gets an episode, Pike gets an episode, etc. But even when that happens, Burnham is always in the center of things and almost always the hero of the weekly story. While TOS nearly always made Kirk the hero (or occasionally Spock), the other four series would have episodes where Picard or Sisko or Janeway or Archer would play very minor roles in order to let episodes with stories about Worf or Data or Kira or O’Brien or Seven or Trip give those characters more of a chance to shine. Yeah, I *really* liked the mess hall scene. For me it made Owo, Detmer and the rest of the gang seem more like real people, more human, it reflected real life. I’ve been in that situation. Working with the same bunch of people. Going on our meal breaks at the same time. Sitting with each other in the canteen, bantering away, talking about everything and nothing. I have to say I’m really beginning to struggle with all this now. I keep coming back to the fact that standalone episodes would have been the better way to go. That way, any plot holes can be (mostly) forgotten about and you start with a clean slate the next week. What I do know is you can’t a fill a hole in by making it deeper – and this seems to be what’s going on. There once was a ship called the Disco. It wasn’t commanded by Sisko. A guy that I like! But in just two more eps we’ll see him go. As we watch all the crew men and women? They all make me snore. Yet I’ll likely subscribe once again! Some very high drama in this episode, and Anson Mount’s performance after Pike’s Cassandra moment was absolutely gripping. Despite this, I’m getting increasingly frustrated at the sloppiness of the plot. “The Pillar of the Present”, “The Pillar of the Future” and the whole time crystals malarkey is straight out of the Doctor Who trough of making up any old rubbish to please 10 yr olds, and is just getting completely daft. And suddenly every CIA, sorry, Sect 31 ship can magic themselves into the vicinity, the rest of Star Fleet is nowhere to be seen, and she-who-must-be-obeyed wants to blow up the ship. For every hard-fought step forward that Disco takes, sometimes it seems contractually bound to take two (or several) backwards. All this messing about with canon affects every show in the franchise. I just finished listening to Wil Wheaton’s narration of John Scalzi’s book “Red Shirt” (which was amazing, by the way!). In the latter part of the book, one writer tells another writer, “You’re not a bad writer, but your writing is bad.” I think a lot of that is happening on Discovery. The writers aren’t bad, per se, but they are not challenging themselves the way they could and should considering their talents. They do an okay job, occasionally hitting the high notes but more often missing the mark. The result is that it makes Discovery a very expensive-looking but mediocre show…at least in my opinion. Indeed – “expensive-looking but mediocre” kinda nails it. In addition to canon, I think part of the problem is down to the season-long arcs that the writers/producers have adopted. This prevents the weekly, um… discovery… of new life and civilisations that Star Trek always did so well in favour of dramatic cliffhangers. I suppose it makes for compelling drama, but actually handcuffs the show in terms of its exploratory heritage, and frequently starves the whole thing of any wonder or humour. TOS had only one cliffhanger, with maybe a dozen or so each for TNG, DS9 and Voyager. Interestingly, Enterprise started with a fine exploratory format and then abandoned it for much of Season 3 – to its detriment in my opinion, but I know that others hold the opposite view. For better or worse it’s clearly a Burnham-focused show, and SMG does it very well, but there’s so little consistency in her character. Burnham’s pre-mutiny arrogance and self-importance have come full-circle, and it’s almost as if her redemption didn’t happen. Previous Previous post: Mysterious INDIEGOGO glitch almost cost the AVALON fan filmmakers a $500 donation! Next Next post: DS9’s WHAT WE LEFT BEHIND is finally COMPLETE – will debut exclusively to backers in April and in theaters for one day in May!